"I am a real-life adult person." 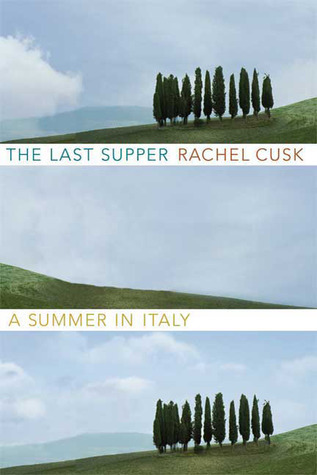 Since I read Outline by Rachel Cusk, I’ve wanted to read her earlier book The Last Supper: A Summer in Italy. I finally got the chance to finish it this winter. Cusk’s genius is in her observations. She has some of the most shockingly astute and artfully articulated insights on the human condition that I have ever read. She also has a vast vocabulary, which she integrates beautifully into her writing: inchoate, lachrymose, acolyte, obeisance, balustrades. The book comments on foreign travel, staying, getting sick of a place, hating and loving a place, connecting, awkwardness, presence, living in the experience, and art, and an eye, and the moments between people that capture the feeling or meaning in art. Two thirds of the way through, I’ll admit that I wanted a bit less description of some of the art (though I can see that it was necessary). I wanted more of the human interactions, the mistakes, the moving, the descriptions of the land, the houses, the people. This wasn’t a joyful read, but it was quiet and thoughtful, which is what I needed. “In this it is the artist who is God. And it is a strange kind of proof we seek from him, we who are so troubled by our own morality, who know we will all eat a last supper of our own” (53). “Now our violence is diffuse, generalized: it has been broken down until it covers everything in a fine film, like dust” (148). This entry was posted in art, books, existence, existentialism, life, reading, Uncategorized, writing and tagged bookclub, bookreview, books, italy, Outline, Rachel Cusk, the last supper: a summer in italy, tourism, travel on January 26, 2017 by sherewin.